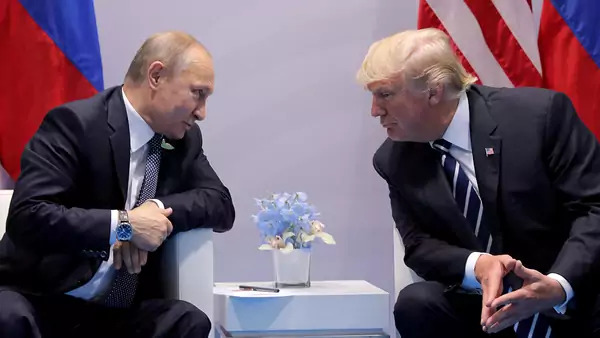 Four issues likely to have a prominent place at the Helsinki summit next week between Donald J. Trump and Vladimir Putin are election meddling, Ukraine, Syria, and nuclear arms control. Russian and U.S. officials have made little progress in reaching agreements on any of them. But there is reason to think one or both sides will approach each of these issues in a new way. U.S. election meddling. At two previous meetings, and in countless public statements, Trump and Putin have dismissed this issue, though doing so has not served them well. Saying that he accepts Putin’s denials hurts Trump’s credibility and makes it harder to move the relationship in the direction he wants. That’s why Secretary of State Mike Pompeo has promised Congress that the president will take a strong stand on the issue. For his part, Putin has suggested that those involved in meddling may have acted independently of the Russian state. Real agreement is unlikely and politically risky for Trump, but look for new positioning by both sides. Ukraine: a path to sanctions relief? For three years, discussion of this issue revolved around the 2015 so-called Minsk II agreement, which calls for the withdrawal of foreign military forces from eastern Ukraine, Ukrainian control of its border with Russia, and increased autonomy for separatist areas. In the past year, Russian proposals to introduce UN peacekeepers have commanded attention, although Western negotiators criticize them as (so far) unserious. Even a provisional agreement at Helsinki on peacekeepers would be the biggest negotiating breakthrough in years—and could start a debate over limited sanctions relief. Syria: a way to talk about Iran. Deconfliction in Syria’s civil war, or military coordination between the United States and Russia to stay out of each other’s way, has been a success of sorts, but there is now clear U.S. interest in elevating Syria as a topic of presidential dialogue. The reason: Iran. U.S. officials have worried about the danger of new conflict in Syria between Israel and Iran or Iran-backed forces. The White House also seeks increased Russian oil production—a move on which Russia and the Organization of the Petroleum Exporting Countries (OPEC) have already agreed—the better to restrict Iranian export earnings. Putting constraints on Iran could be the top Helsinki priority of Trump and his advisors. Arms control: an easy win? Both presidents have said recently that the arms race between the two countries requires their attention. A relatively easy step would be to extend the New START treaty, which is set to expire in 2021, for another five years. Yet a series of hurdles could block progress: The treaty was negotiated under Barack Obama (likely a negative for Trump); National Security Advisor John Bolton dislikes all arms agreements; action on New START would raise questions in the U.S. Congress about Russian violations of another arms agreement, the INF Treaty; and Russia would want the United States to put missile defense systems deployed in Eastern Europe on the table. Cold War–era negotiations, which bundled together multiple issues, could provide a model for follow-on talks. Without progress on one or more of these issues, the certain-to-be-friendly atmosphere in Helsinki will be seen as a bogus photo op. But real agreement will be difficult, in part because these issues affect the interests of many other parties. Both presidents may therefore have to settle for further rounds of ministerial-level discussion.